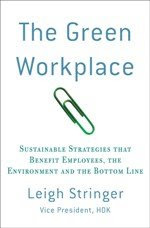 The Green Workplace: I love my Prius…and so do my favorite Celebs! I bought a Prius about a year and a half ago – Toyota was having an event in which if you traded in your Toyota (I traded in a beat up but fast and fun Celica, “Alice”), you got a HUGE amount of money back. The offer was too good to pass up – Alice needed some serious body work, and they offered well over her blue book value. It’s turned out to be a great investment – Ralph, the Prius, is an excellent addition to the family. Great car – big, sporty, mechanically sound, great gas mileage. At least five other people in my office drive a Prius and love it too! Lots of companies are offering incentives for driving hybrids - for example, Google offers employees a cash incentive for purchasing hybrid or alternative fuel cars. Also, the USGBC's LEED system awards points for offering preferred parking for hybrids/alternative fuel cars. *Note: some of these are electric car or other-hybrid drivers...and I’m sure I’m missing tons! Go Prius-nation!